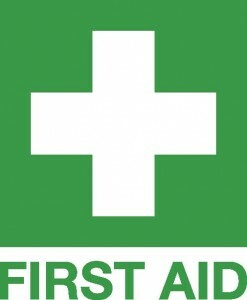 Home » First Aid » Why Should I Learn First Aid? Whether you are staying with roommates, siblings, a spouse, or children, completing a first aid and CPR training course can make your home a lot safer. In first aid training courses, you are trained at how to provide basic first aid should accident ever happen in your home. Knowing how to respond in an emergency can make a huge difference. Aside from learning first aid skills, you also get invaluable inputs on how to make your home safe. First aid is not just for adults. Children should also be introduced to first aid. The St Mark James offers Babysitting First Aid Courses which are designed for teenage and pre-teen participants. The more first aid-trained individuals in the home, the safer it becomes. First aid and CPR training is an essential component in ensuring workplace safety. In case an emergency erupts in the workplace, there should be someone ready to provide initial treatment. The government encourages all organizations to invest in first aid training for the workplace. The more employees who are trained to provide first aid, the better the outcome will be. Employees who know first aid may be able to prevent serious injuries in an emergency. Moreover, first aid training increases the awareness of the employees on workplace safety which will enable them to prevent accidents and injuries from occurring. While pediatric first aid training is applicable to all parents, it is of particular significance to first-time parents. Note that first aid techniques for children are relatively different than those for adults. Very young children and infants are not able to express when something is wrong. Also, the CPR technique used for infants and very young children is different than on an adult. Infant and child CPR requires special training. As medical knowledge continue to broaden, first aid and CPR techniques eventually change. This is the reason why you need to regularly update your skills by attending first aid training courses. Even if you have already been certifies, you will need to go through re-certification. Some of the skills may be out-dated. In emergency situations, knowing how to provide first aid can make a huge difference. Be sure that you know how to handle these emergencies. Take your first aid training course today and stay safe!